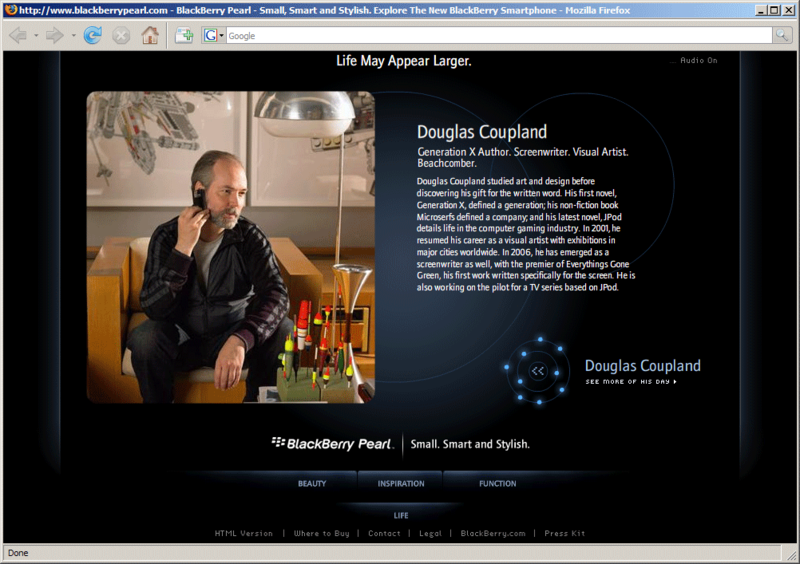 Douglas Coupland, every wannabe “hipster” girl’s favourite writer, is on the new BlackBerry Pearl ads. Puke. This entry was posted in gay, media, people, wtf. Bookmark the permalink.